Don't let the darkness hold you back! 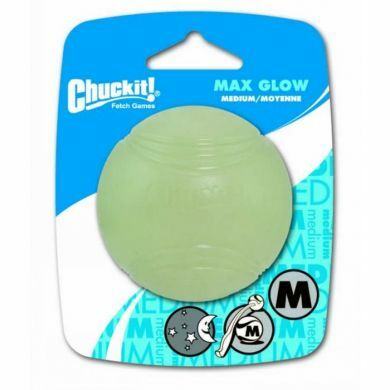 With the Max Glow Ball you will have long lasting visibility. 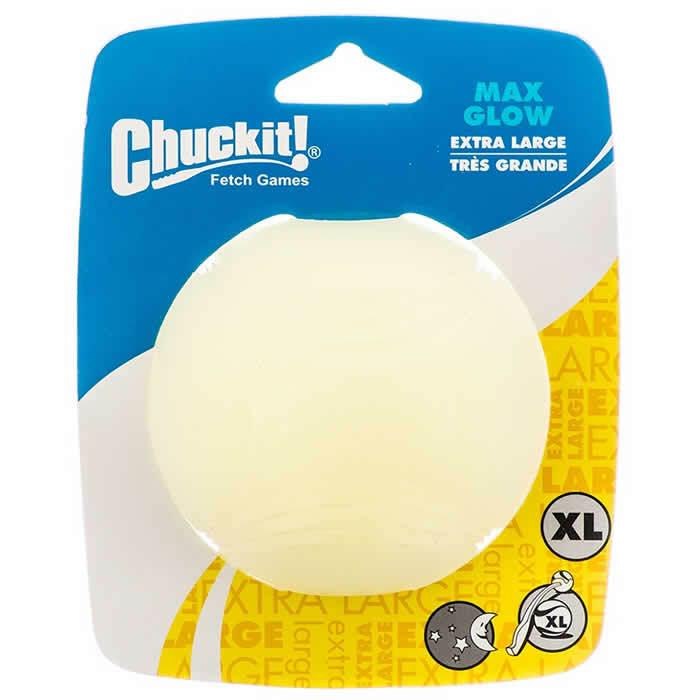 Each size fits perfectly with the corresponding size Chuckit! 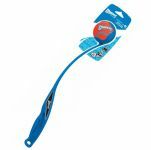 Sport Ball Thrower. 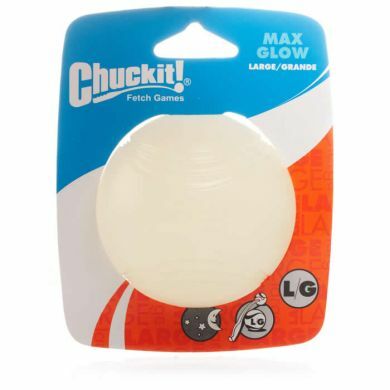 Our dog Leo (Border Collie) loves the Chuckit! Max Glow! It's great at night as both he and I can see it, so it doesn't get lost in the garden. We can also have (to Leo's delight) endless games of fetch into the night. The Chuckit is very bouncy and has stood the test of time - has not fallen apart or cracked as with other balls e.g. tennis balls. 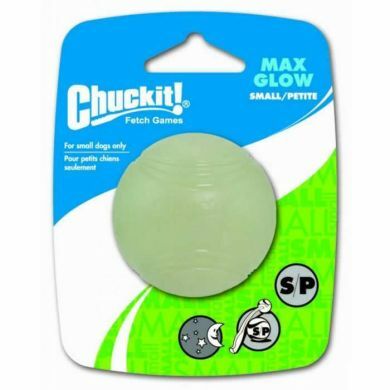 Read 4 customer reviews of Chuckit! Max Glow. The average customer rating is 4.8. No more tripping over toys in the dark, I wish they all glowed like this one! 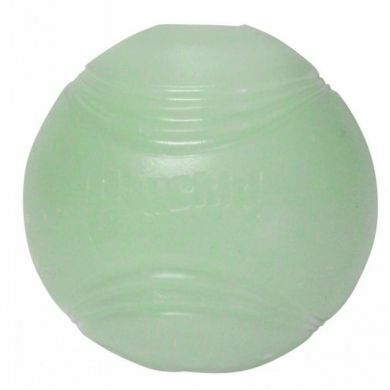 Oh boy does our super-mutt love this ball! ball chasing antics in the dark is the best.. it is bright and bouncy and when he runs along with it in his mouth in the dark and the ball is all you see it is priceless. There is the small issue that he can’t see where he is running quite as well as it is dark. but you know maybe he can? can dogs see in the dark well.. i don’t know.. but he loves it. buy one its great winter fun. have only been using our Max Glo for a week or two, so no real comments on durability, but it has held up well against my 4 malinois so far (they are not left unattended with it)... the ball 'charges' up very quickly, i can shine my ~150 lumen torch on it for around 20 seconds and it'll have a good bright glow for about 15-20 minutes, and while the glow slowly fades over time it'll still give off enough light for hours to be able to locate with relative ease - even in long grass - when your dog is looking the wrong way at that critical moment!